Meet the adorable miniature version of our best-selling Can*imal Elephant. 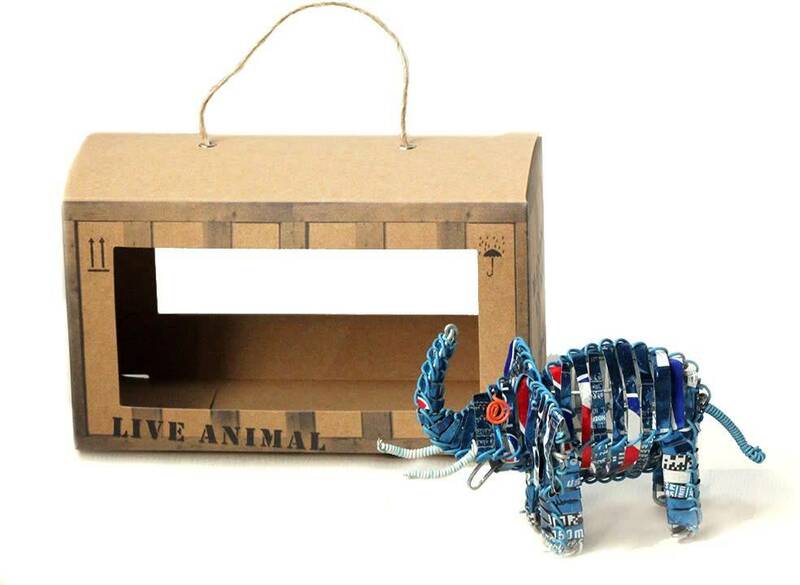 Like its big brother, this animal is handmade in Kenya from recycled aluminum cans and bound with telephone wire. Stands approximately 2.5 inches tall. Custom informational box measures 5.5 x 2.75 x 3 inches.